Does it ever happen to you? The urge to try out something and no matter how hard you try to push it out of your mind it doesn't go away? That's what happened to me and resulted in this short pink lip video. 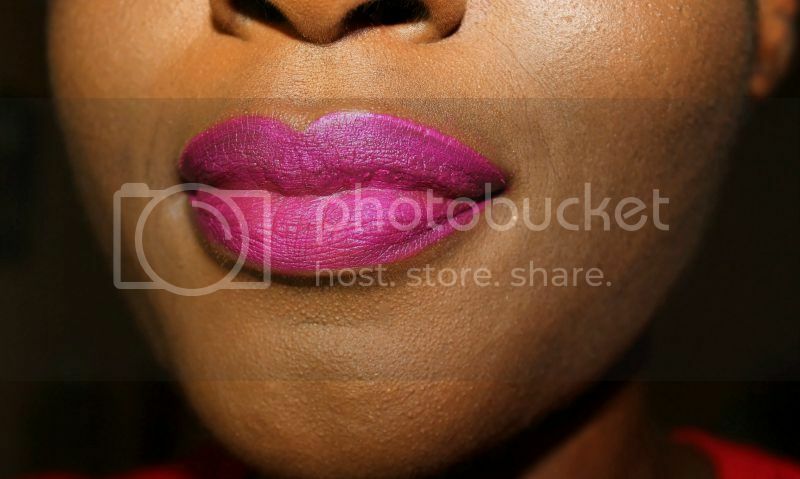 I've had the Nouba no15 lip colour for ages now and have used it only once mainly because I noticed that it was streaky. Thankfully, it was a shoot so the photographer was able to rectify it a bit in the final pictures. 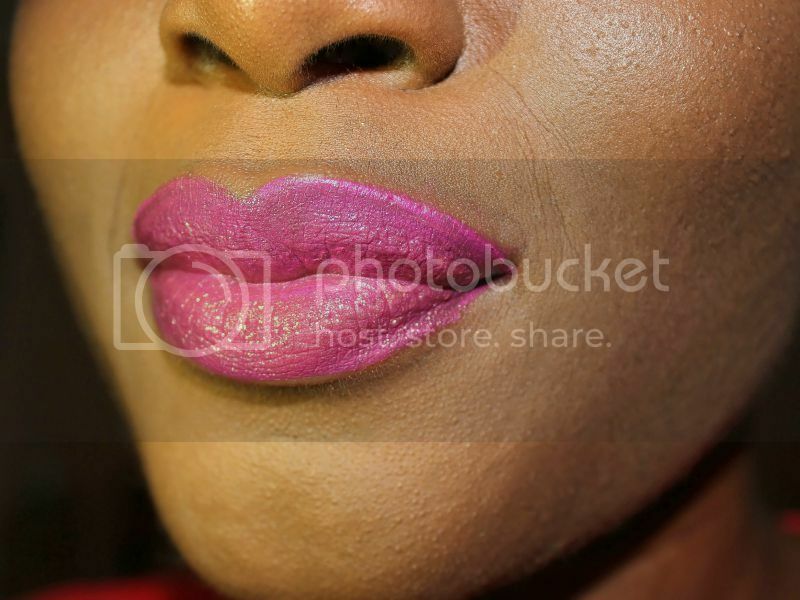 This streakiness was quite disappointing especially with the overwhelming success of the Nouba no7 lip colour. However, I had initially tried it on a model and learnt a few lessons. I wanted to try it on myself but always shied away from it because pink isn't quite my colour, bright colour isn't quite my thing and then streakiness isn't quite my strong point. But I learnt a thing of 2 while doing this and thankfully, you can watch the video and see how it turned out. 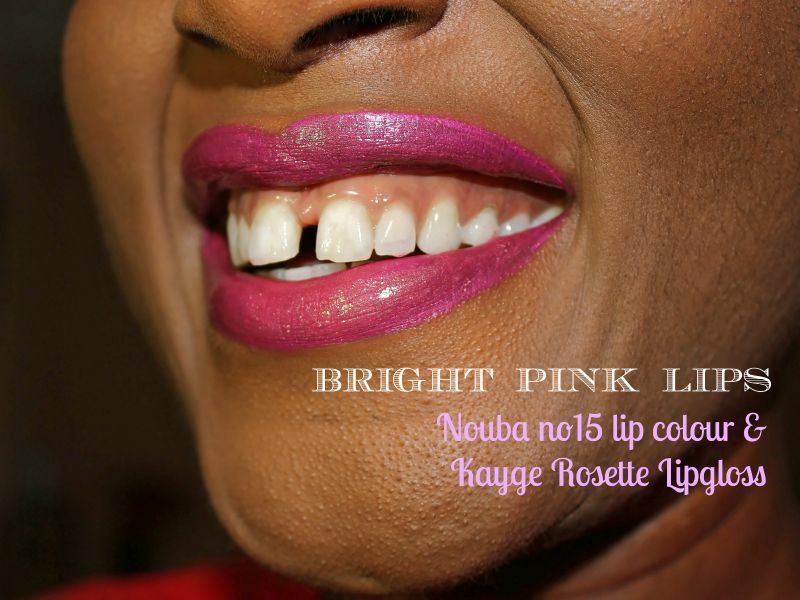 The first look below is the plain, matte Nouba no15 and the second is with Kayge lipgloss in 'Rosette' layered on it.